Panerai’s retail partners will be delighted at the commercial additions to the 2018 Luminor and Luminor Due collections that the watchmaker unveiled at SIHH. 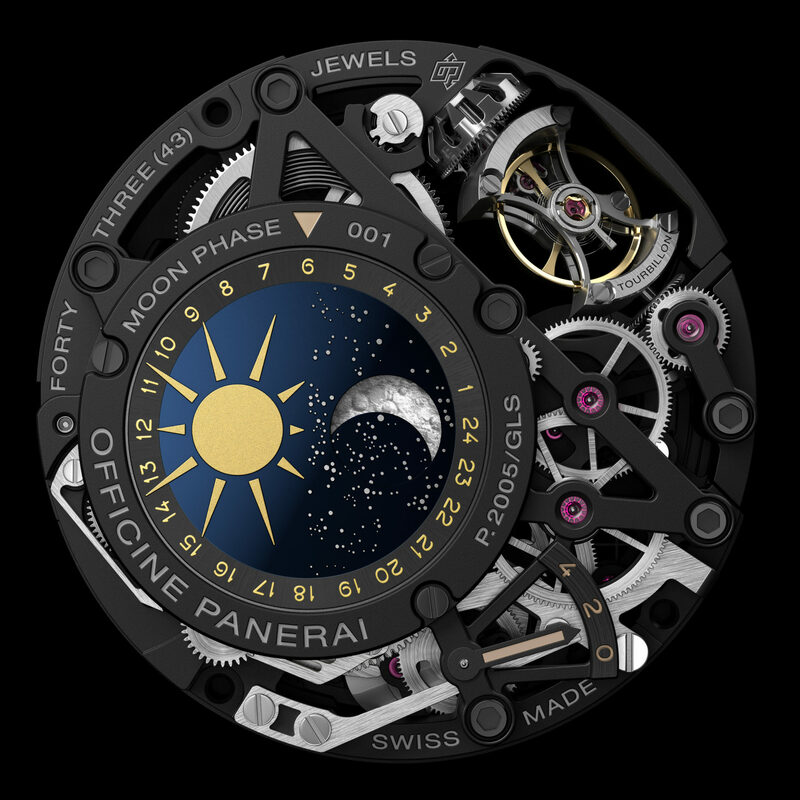 However, for watch geeks, it was the €199,000 Panerai L’Astronomo Luminor 1950 Tourbillon Moon Phases Equation of Time GMT that set pulses racing. 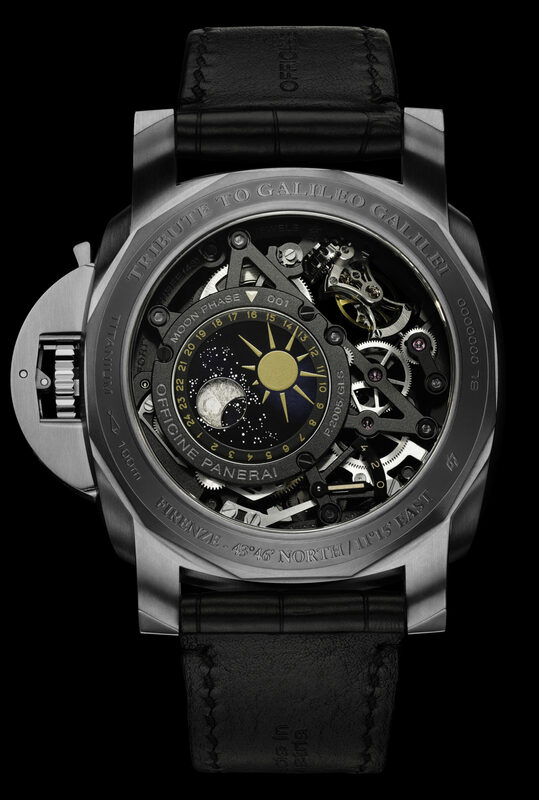 The watch, which is dedicated to Italian astronomer Galileo Galilei, is the first Panerai in history to carry a moonphase indication. 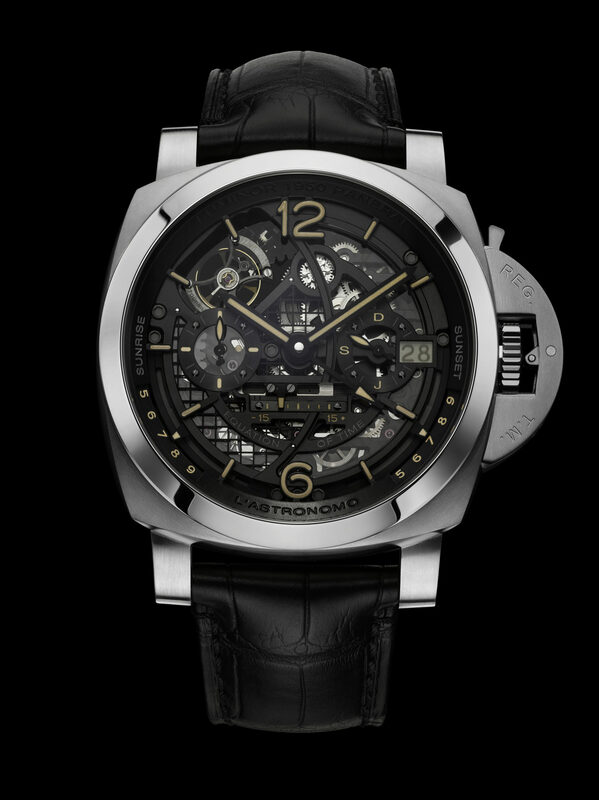 Panerai presented its first L’Astronomo in 2010, the Florentine watchmaker’s first timepiece with a tourbillon regulator, calendar, equation of time indication and the display of the times of sunrise and sunset. The latest L’Astronomo, which is made to order, uses the P.2005/GLS skeletonised movement adds a GMT, the phases of the moon indication and and an original system for displaying the date using polarised crystals. The watch uses both the front and back to present all of its complications, with both the day/night indicator and the moonphase on the rear. The setting of these indications is done at the factory according to the coordinates of a place chosen by the watch’s owner.